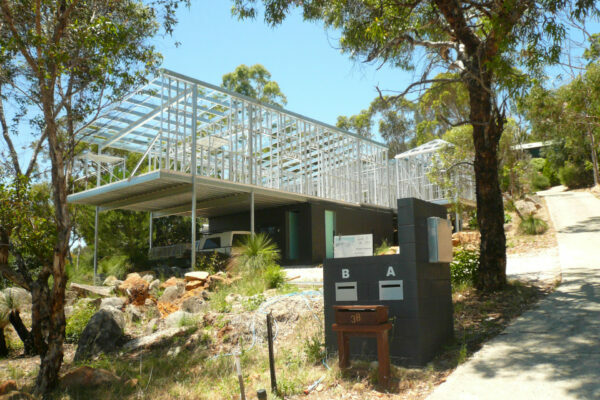 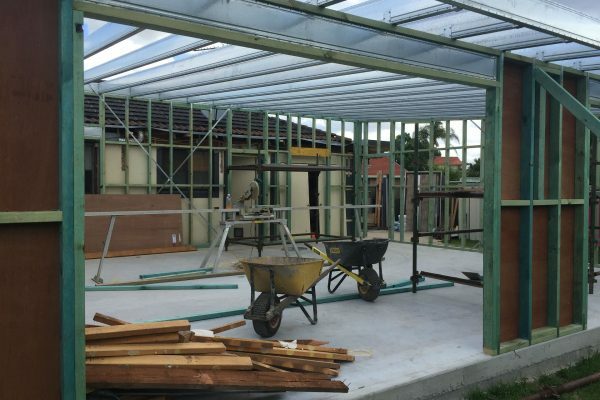 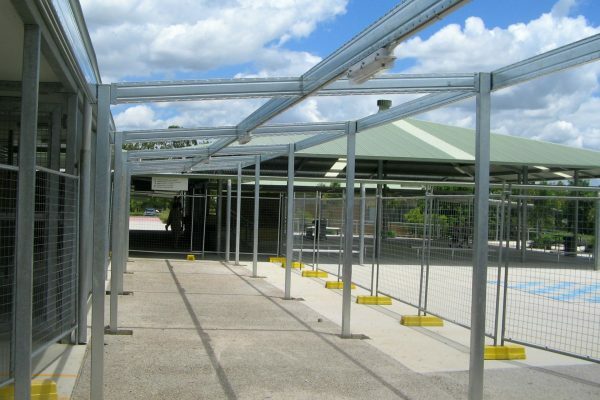 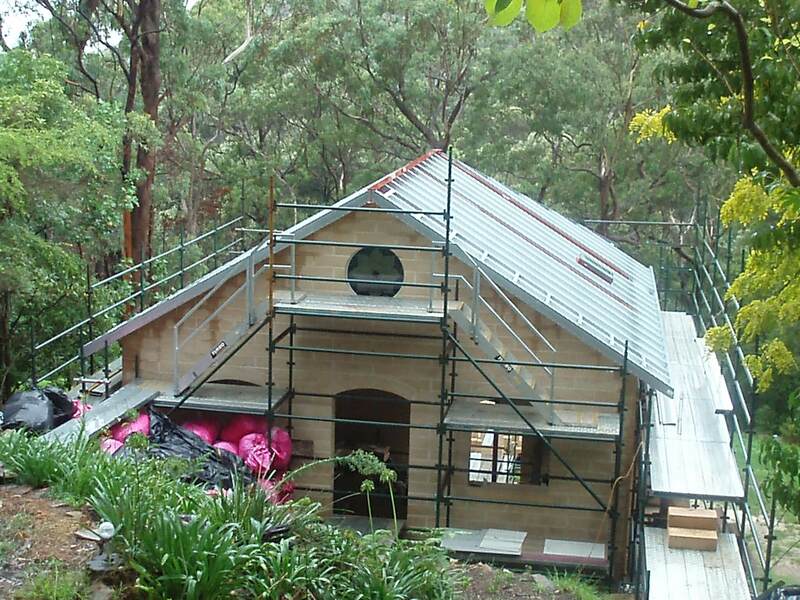 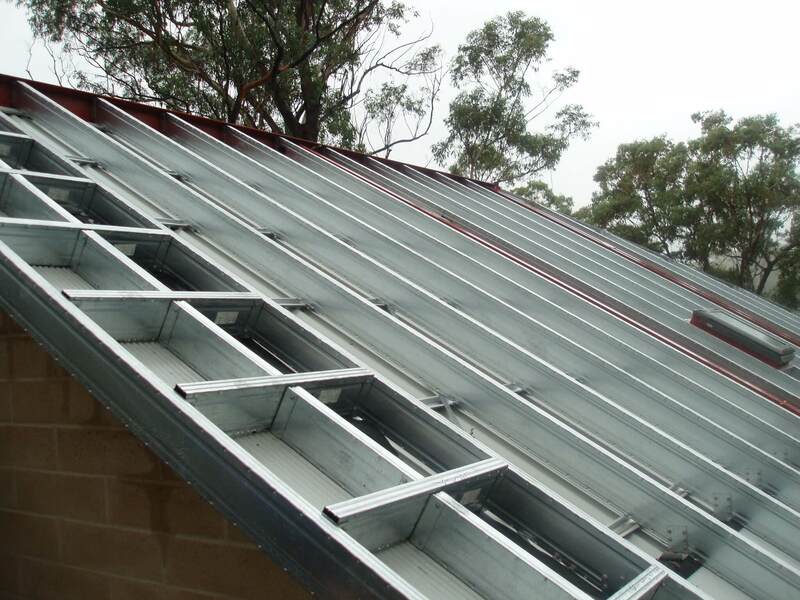 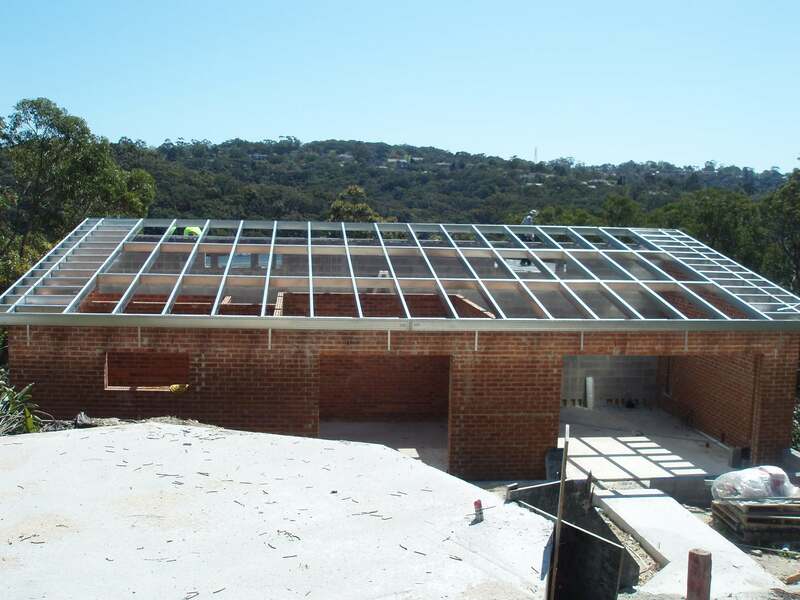 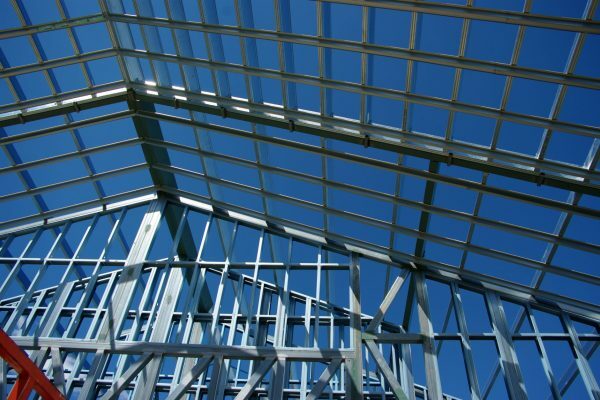 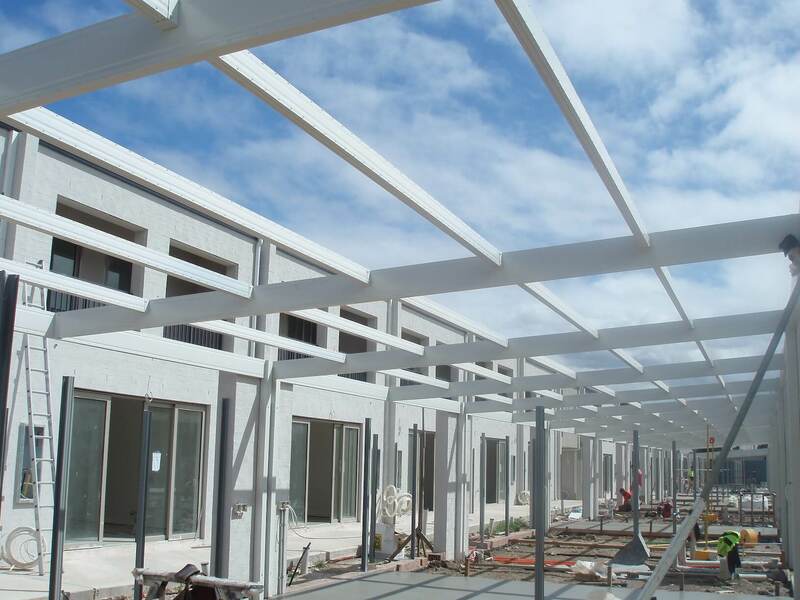 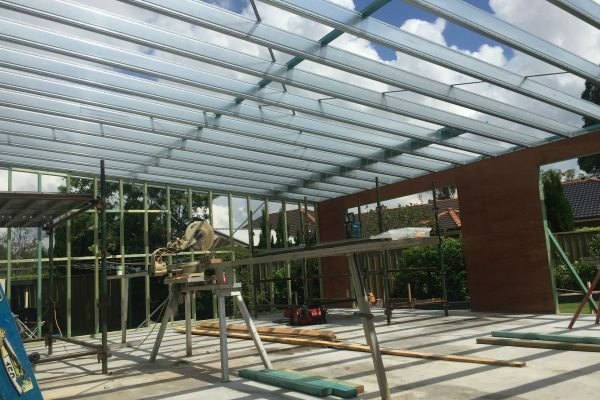 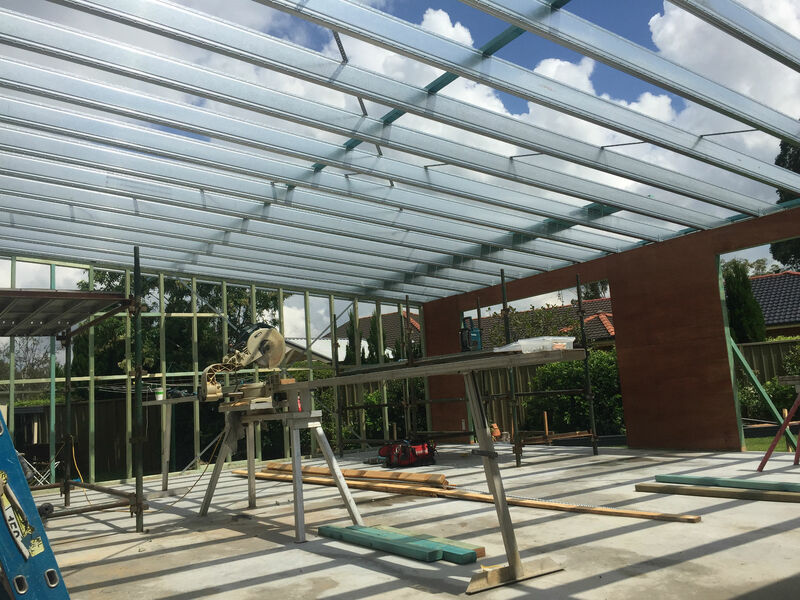 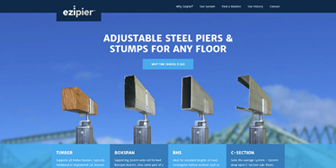 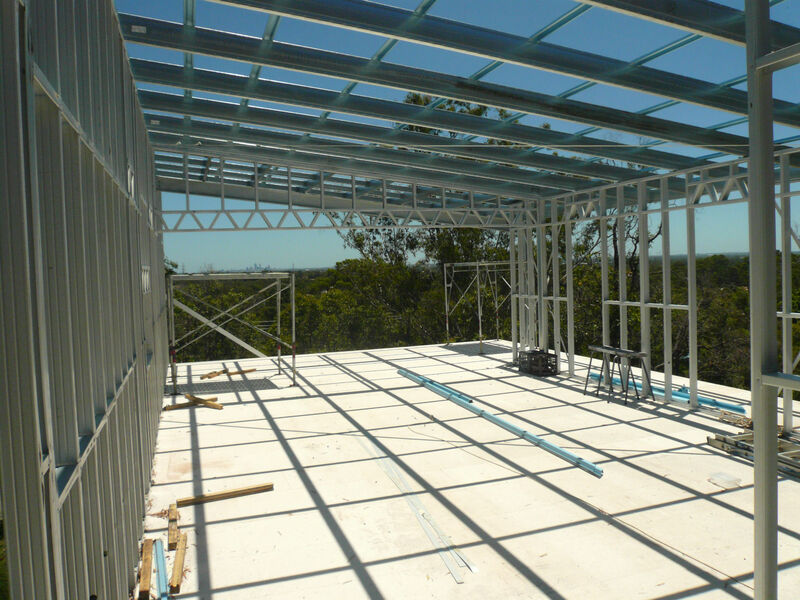 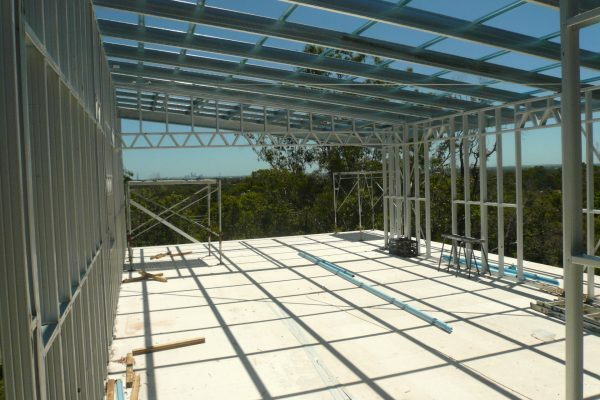 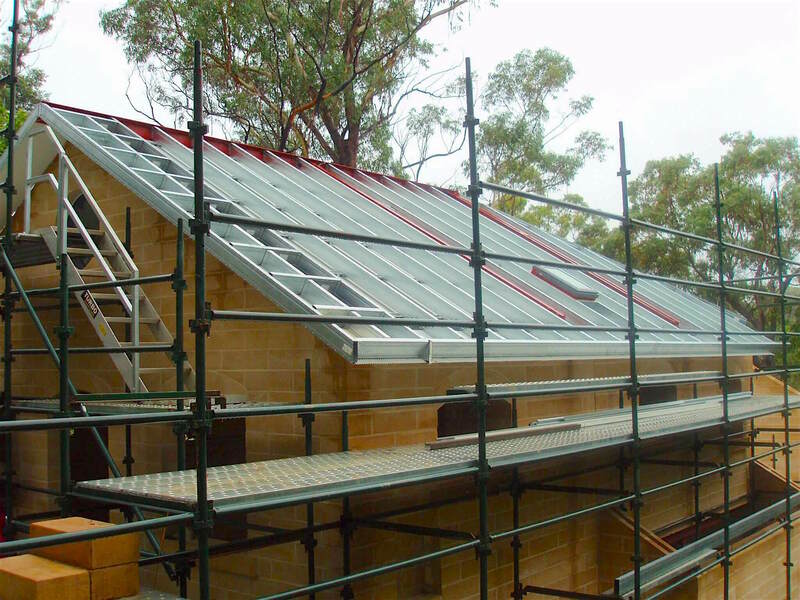 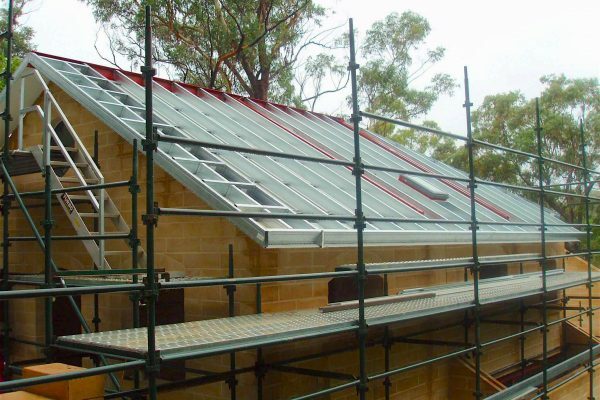 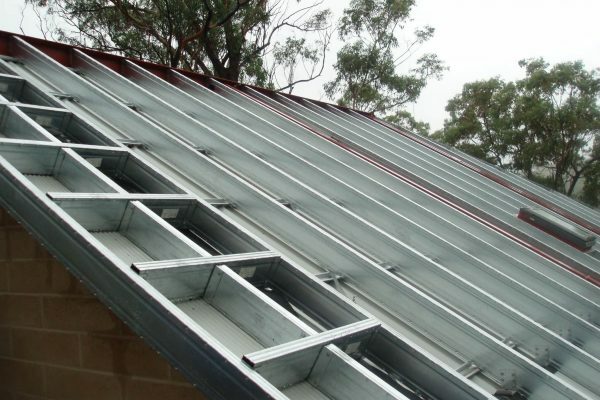 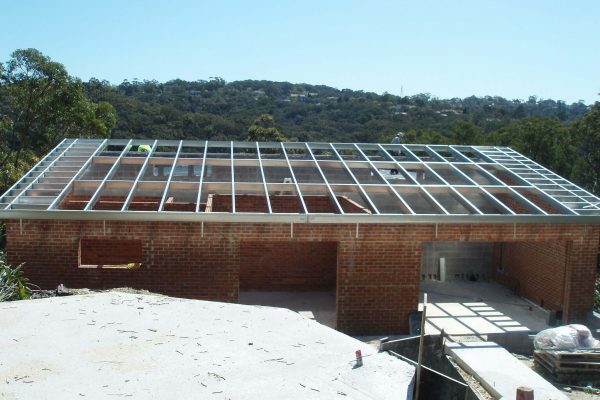 Boxspan roof frames and rafters are suitable for use with both steel and timber framed homes. 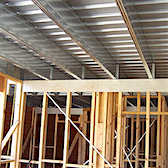 Boxspan is extremely efficient in roof framing. 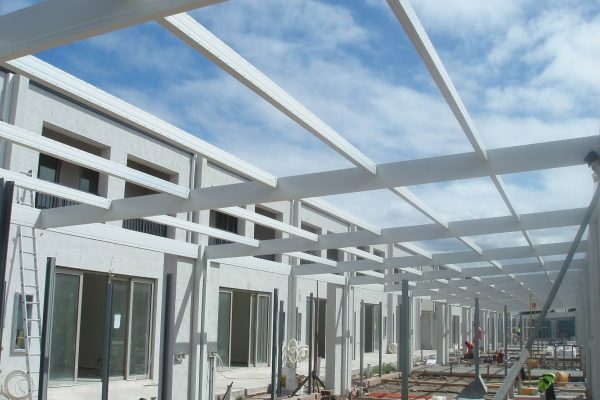 Long spans and light weight make architectural such as cathedral ceilings, exposed trusses and roomy lofts more feasible than ever. 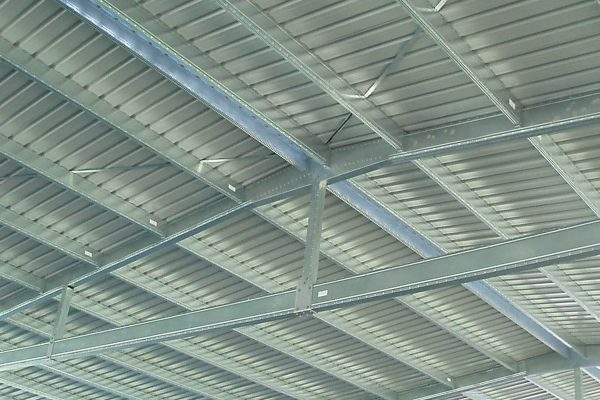 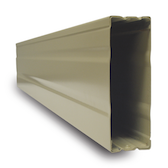 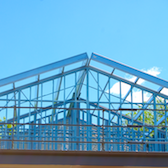 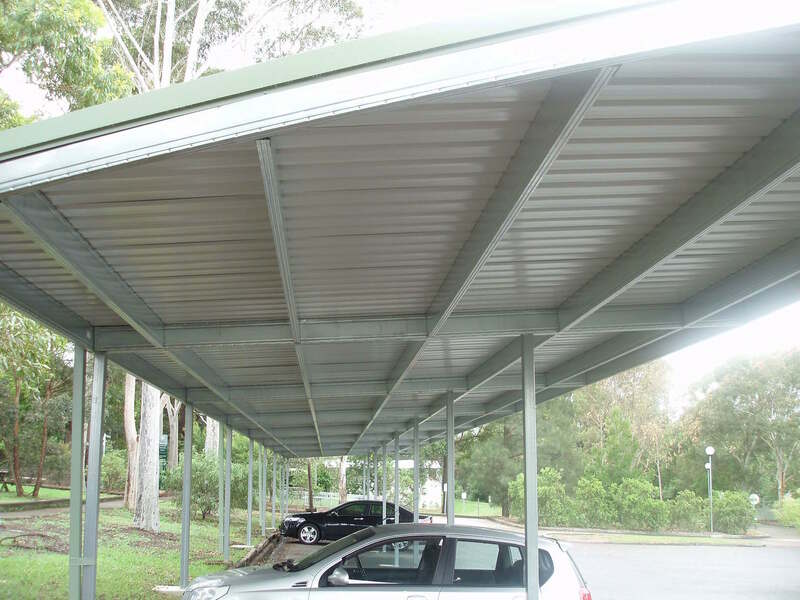 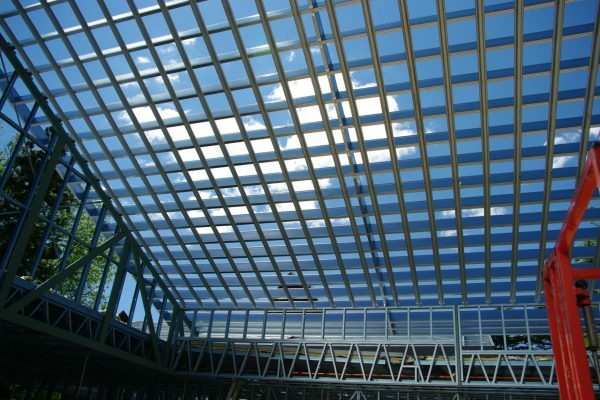 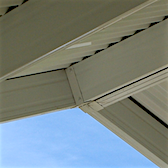 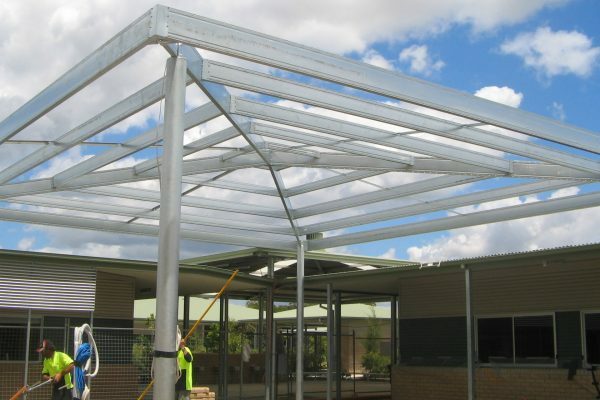 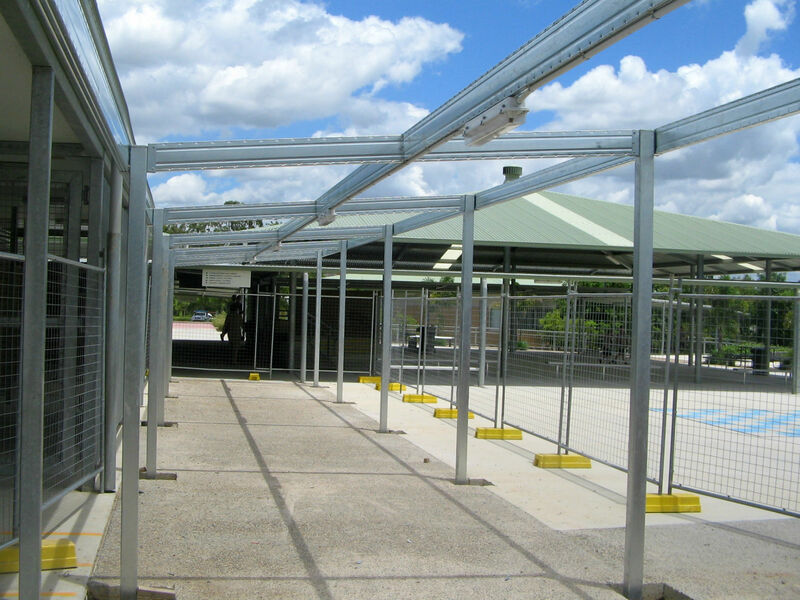 Boxspan is also used in commercial roof applications such as schools. 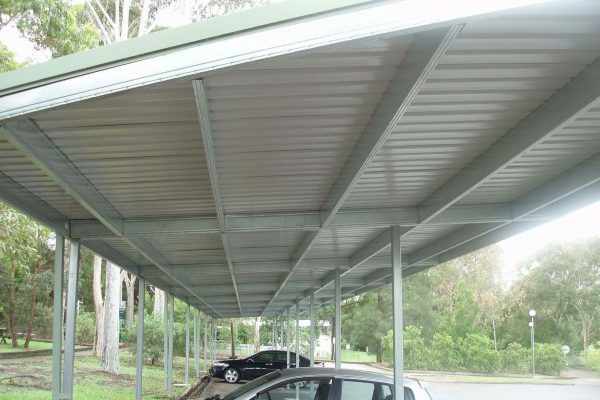 Long spanning Boxspan rafters make raked skillion roofs and cathedral ceilings in homes a perfect choice. 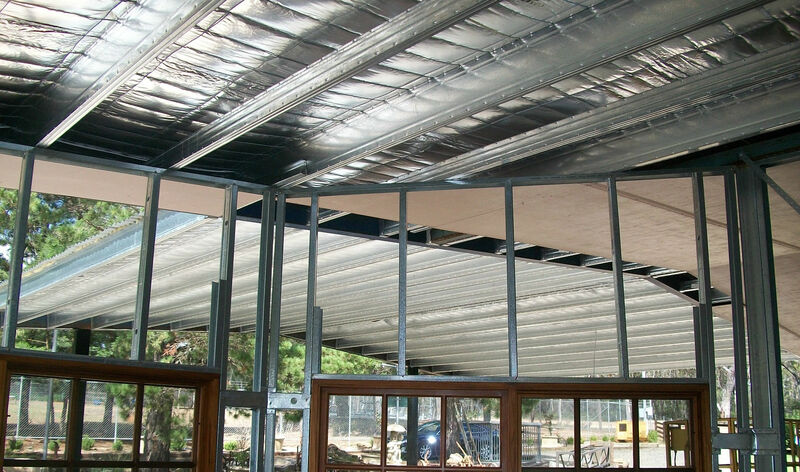 The enclosed boxed section as rafters makes it just as easy to fix the soffit as it is to fix roof batten for sheeting or tiles above. 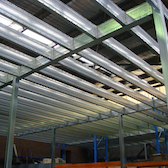 Because the beams are light it makes the job very easy to construct. 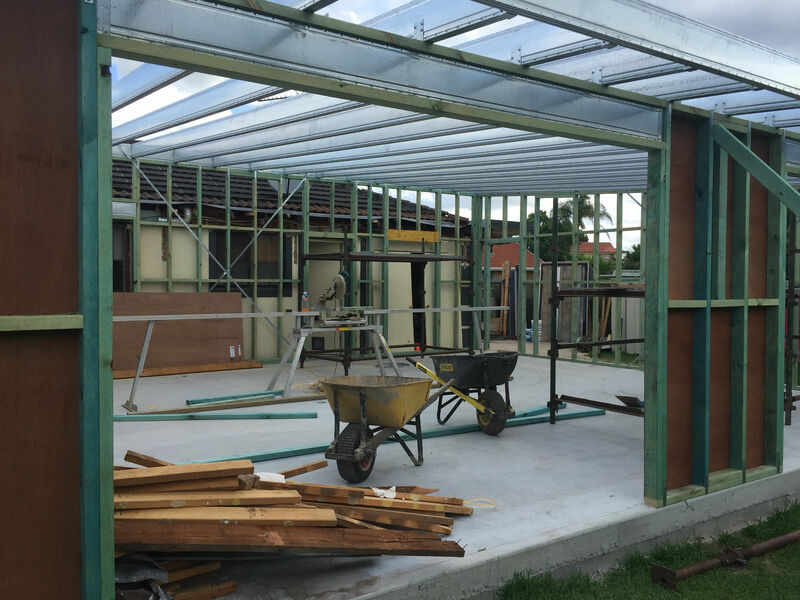 Either open like a pergola or a covered carport exposed roof frames are where Boxspan rafters and roof beams excel. 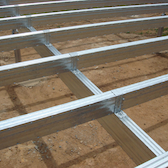 The closed box section resembles a timber shape. 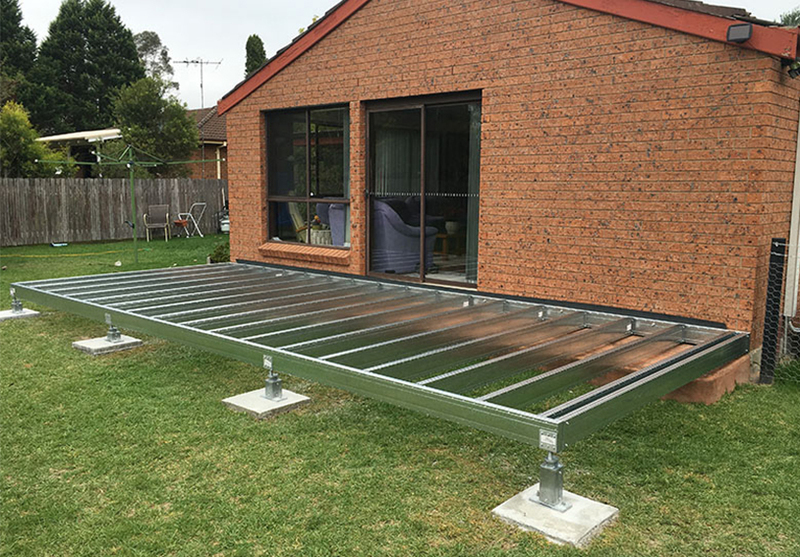 It also makes it easy to hide cables for lightning. 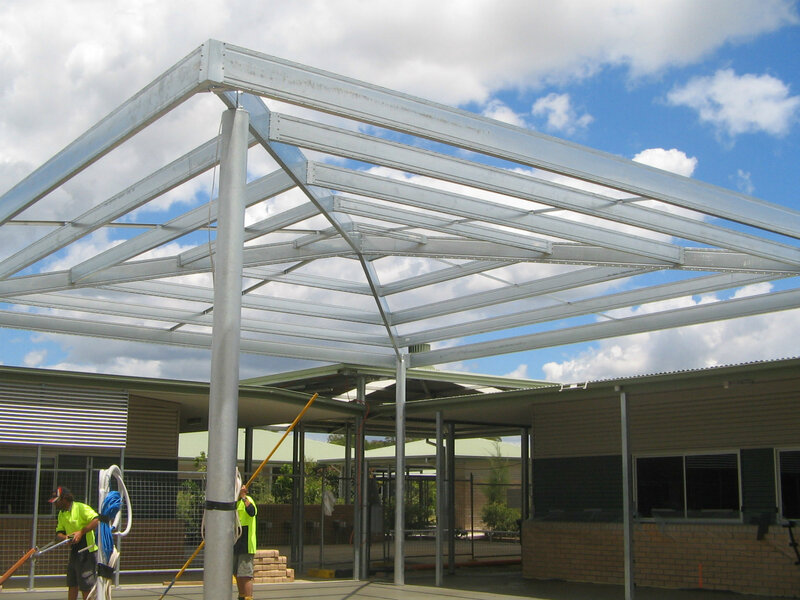 Builders of school COLA’S, agricultural and industrial structures gain from using Boxspan beams as a truss, rafters or purlins. 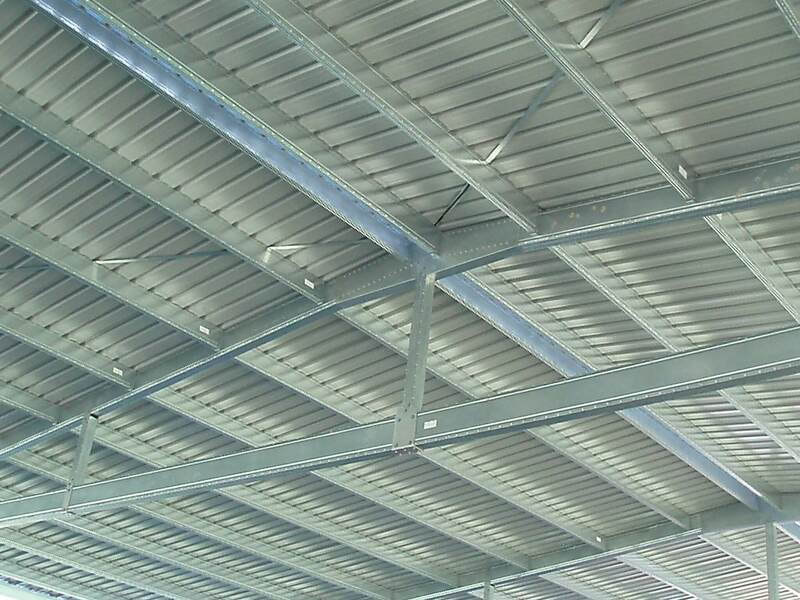 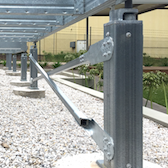 Trusses are able to span further because of the ability to connect to both sides of Boxspan, which gives better torsional strength. 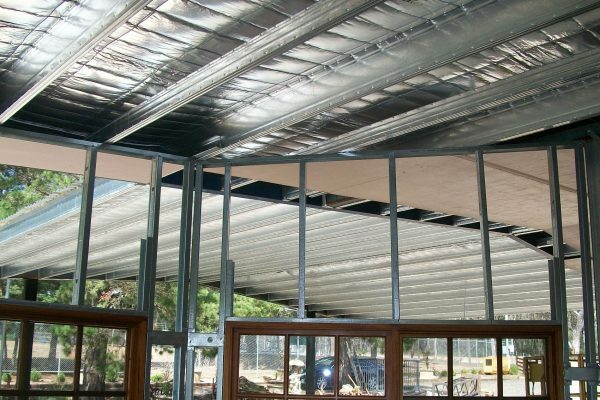 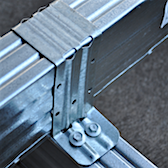 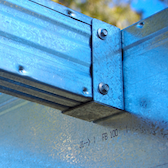 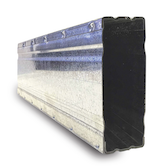 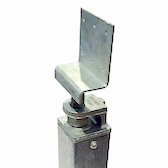 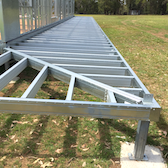 The closed section has a very attractive finish compared with open sections such as “C” purlins with added benefit of nowhere for birds or rodents to make a home. 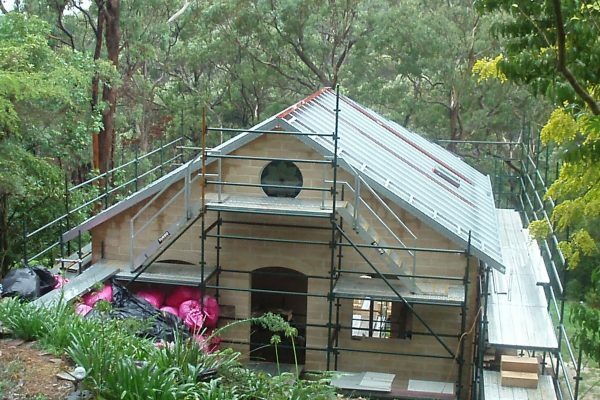 Boxspan rafters typically require less depth than timber rafters to reach the equivalent span.